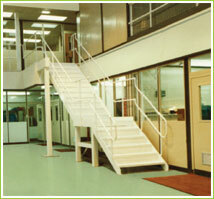 Create an office area above or below your mezzanine floor. Euromech regularly undertakes projects that incorporate other services including partitioning, lighting, heating, ceilings, ventilation and furniture. The company works closely with these other trades to ensure the mezzanine installation is of the highest quality.